How much are Facebook ads truly going to cost me? The average Facebook ad costs anywhere from $0.20 to $0.80 per click. Depending on your target audience and how long you want the campaign to run, you could walk away from a promotion after only spending about $50. There are other things that you should know about Facebook ads that aren’t so black and white, though. The system, for instance, is heavily dependent on demographics, which means that narrowing your scope of prospective customers is critical to garnering the attention that you want. 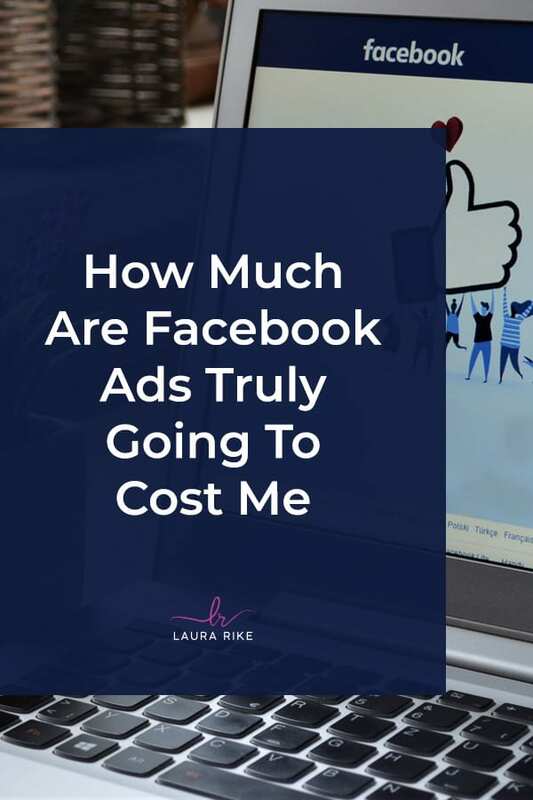 Follow this short guide to learn just how much Facebook ads are going to cost. Advertising on Facebook is specific in that it suggests products and services to users based on their location, demographic, and profile information. A mom from the Northwest who has expressed interest in yoga via her Facebook bio may see more ads from companies that focus on healthy living and good exercise routines. Meanwhile, a working mom who is steadily building her empire in corporate America and has a resume uploaded to Facebook to prove it may see more ads that revolve around things like time management and marketing. In both instances, Facebook offers its users products and services that fit their lifestyles. Having knowledge of how Facebook ads work is important when you are the mompreneur who wants to get your company noticed by the masses. Since you cannot control the aspect of profile information, it is super vital that you choose the right demographics and location for your campaign. It is best to think small when creating a campaign for Facebook ads. You definitely want your company to reach the world (and it will). It is not the best idea, however, to try to reach everyone with one campaign. I suggest narrowing your demographics as much as possible so that every click on your Facebook ads are from highly prospective buyers. 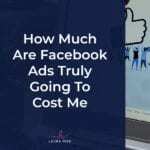 So how much do Facebook ads cost for real? Facebook lets you run a campaign for as little as $10. You should know, however, that such amount won’t get you very far if the price of clicks is $0.20 at a minimum and $0.80 at maximum. The price of your cost per click (CPC) depends on a number of factors not limited to the time that you run your ads as well as the products that you are selling. A campaign promoting the latest time machine is likely to have a low CPC regardless of what time you choose to run the ad. Promoting your toy store during the holidays is going to cost you more. One of the best ways to get the most out of your Facebook ad campaign experience is to prepare your budget based on the product or service that you are promoting as well as the time in which you choose to advertise. Setting aside $200 for a Facebook ad that spreads the word about your candy store just in time for Halloween could garner upwards of 250 clicks from highly interested parties if you tailor the promotion to reach locals. Suddenly, your small business becomes the talk of the town, and sales grow by exponential means! You may need to set aside more funds if your business is a mid-sized company that mainly operates online. This may especially be the case for you Etsy mompreneurs who are prepared to handle dozens of orders for the holidays and throughout the year. Retailers tend to pay premium CPC rates, which means that investing anywhere from $1,000 to $5,000 in a Facebook campaign that runs anywhere from one week to a month is a good way to at least get your name out there. You should definitely consider diversity when running your Facebook campaign as a mid-sized company. Create organic ads that spread the word about your company and include promotions of your Facebook page in your approach. How can I create the most effective Facebook ad campaign? 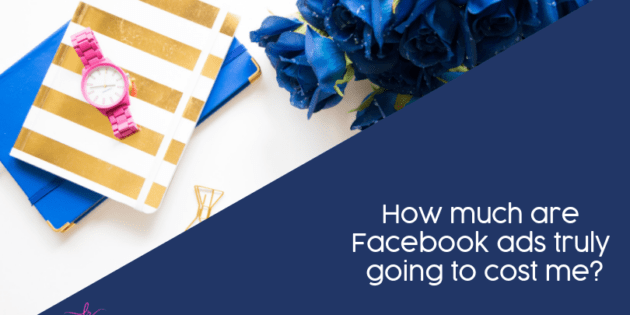 You want to understand Facebook ad costs so that you can choose the most effective route to promoting your company online, right? Thankfully, there are several campaign options available to you via the social media giant. Facebook has expanded its scope beyond the standard ads that include the company’s name, email address, and phone number. You can now promote your Facebook page, which gives prospective buyers a better scope of what your company is about. Bolstering your Facebook page could also lead to better exposure and more clicks since Facebook tends to favor those businesses that keep users on their site instead of immediately sending potential buyers elsewhere. When promoting your page or creating a standard ad, you should be cognizant of the time of day and year. Of course, you are bound to pay more per click when promoting your swimwear business during the summer. The return on your investment, however, will likely be greater than if you take the cheaper road of running a swimwear ad campaign during the winter. If you invest $10,000 in an ad campaign that runs during midday during the month of July, when all of the kids and college students are talking to their friends online, and receive a $15,000 increase in sales that come directly from the ads that you ran online, then who is really winning, here? You are! That’s for sure. The world of Facebook ads can be quite confusing for the average mom who just wants to get her name out there and increase sales. That’s why I’m here! I can help you strategize when’s the best time to run your ads and about how much such promotions may cost. Let’s talk! Want To Grow Your Business? Looking for more traffic & more engagement? My Social Media Marketing Services help your business grow brand awareness, relationships, and website traffic. I not only handle daily management and growth optimization, but also monitor all social media activity (i.e. - comments, messages, and reviews) and respond on your behalf. In addition to the above, I will research and use organic tactics (such as hashtags, following, contests, etc.) to grow your channels.